CLEARANCE ITEM! 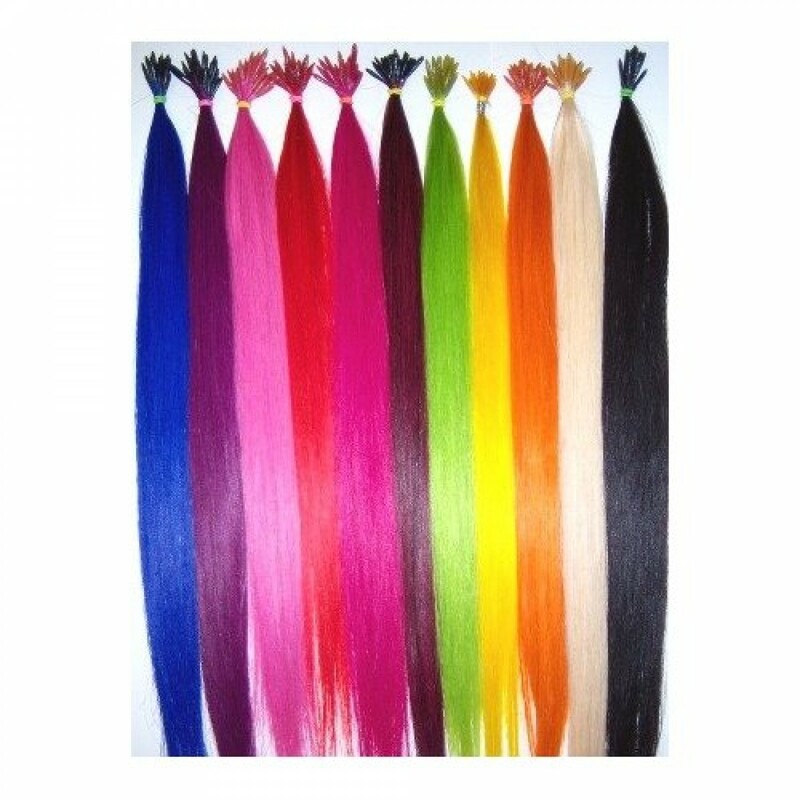 40% OFF 18" I-Tip Coloured Highlight Hair Extensions 0.5g per strand. 100% Remy A Grade Human Hair. Limited Colours Left. Coloured I-Tips for creating highlights in fashion colours. Go bright, go bold, be daring with our gorgeous 100% Remy Human Hair I-Tips. I-Tips are the perfect solution for those wanting semi permanent hair extensions. 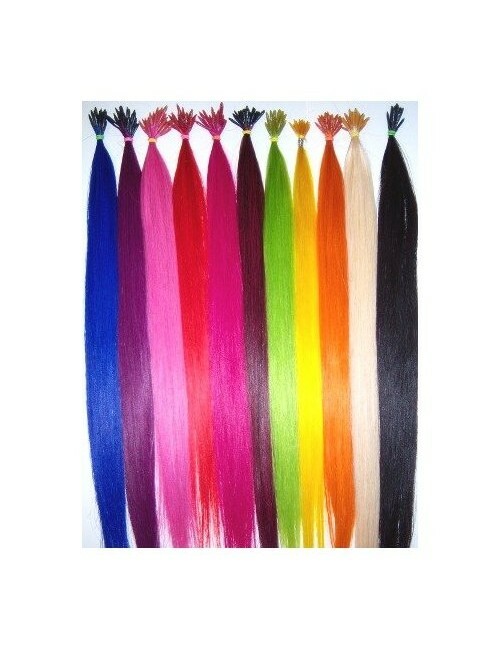 They are easy to apply and you will have long beautiful hair in a very short time. No messy glues or heat are required to attach I-Tips. These extensions are applied using a small metal silicone lined micro bead. Section your hair where you want the extensions applied. Put a Non Slip Micro Bead onto a Pulling Hook. Take a section of your own hair using the hook at the end of the Pulling Needle, and gently pull your hair through the Micro Bead. Once the hair is through, push the Non Slip Micro Bead up towards your scalp. Take a strand of I-Tip extension hair, place it in the Micro Bead, then using pliers clamp the micro bead shut which will secure the extension to your hair. Continue doing this until you have applied the extensions to the thickness you require. It's really that simple. To remove the extensions all you need to do is squeeze open each micro bead with pliers, and slide it, and the extension from your hair. If you wish to re-use the hair you can put them back in again by using new beads. Please note that after wear the bonds at the top of the extension strands may break down and need re-bonding before they can be reused. The Micro Beads are Silicone lined, so unlike some other Micro Beads these tend to grip better, which means no more embarrassing moments! All Cleopatra I-Tips are made from straight A Grade 100% Remy Human Hair. They can be washed, curled, straightened, cut and styled just like your own hair. You do not need to be a trained professional to apply Easy Loops. They are very easy to apply yourself, or with the help of a friend. Full instructions on how to apply the Easy Loops are included with your purchase. You will need hair extension pliers, and a Hook Tool, or Loop Tool to attach the hair extensions. Due to many customers ordering on a regular basis and not needing pliers, or other tools these are now an optional item, and can be added to your order at the time of purchase. We do however supply FREE matching colour beads with all all orders so these do not need to be ordered separately. If you wish to have a different colour bead supplied with your order please leave us a note at checkout. Otherwise we will supply a matching colour.